Dubai Handyman Call: 0509243377 Air Conditioning Blog General Maintenance What Causes Indoor Air Pollution? Indoor air is up to five times more polluted than outside air. The use of everyday products, such as air fresheners and scented candles, only make things worse. More than half of premature deaths due to pneumonia in children are the result of household air pollution. The dust and debris inside your home can have devastating effects on health. Pregnant women and kids are the most vulnerable. The question is: what causes indoor air pollution? After all, you’re doing your best to keep the house clean. 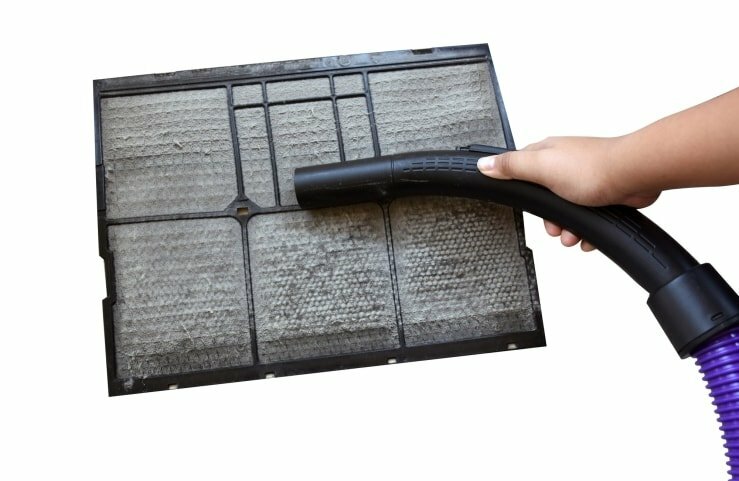 You keep the windows open, remove the dust, and vacuum regularly. Unfortunately, the causes of indoor air pollution are not always obvious. Bacteria and debris can hide where you least expect it. The smoke from cooking fires, stoves, and cigarettes is one of the primary air pollutants. This factor contributes to pneumonia, stroke, lung cancer, and heart disease. To stay safe, clean your chimney a few times a year. Keep your home well-ventilated by opening the windows several times a day. Refrain from smoking indoors. The bathroom and kitchen provide perfect conditions for mold growth. This pathogen loves warm, dark environments, such as the sink and shower curtains. Exposure to mold can trigger or worsen existing health conditions. It has been linked to eye and skin irritation, difficulty breathing, and lung disease. If you notice mold in your home or office, remove it immediately. Pay special attention to cooking and shower areas. Fix any leaking pipes or clean the air ducts regularly. When most people ask what causes indoor air pollution, they rarely think of asbestos. Yet, this toxic material is still found in millions of buildings. Back in the ’70s, asbestos was widely used in the construction industry. Even though it has been banned, older establishments may contain traces. Ceiling tiles, fireproofing materials, and paints products are common sources of asbestos. This material could be present inside your walls or roof as well. Contrary to popular belief, air fresheners are anything but safe. These popular products contain toxic compounds known as phthalates. Studies have linked phthalates to reproductive disorders, birth defects, and hormonal imbalances. Moreover, these toxins affect airflow and cause respiratory diseases. This may come up as a surprise, but inkjet printers are a common cause of indoor air pollution. The printing inks contain glymes, which are toxic to your body. These chemical solvents are also used in carpet cleaners, brake fluid, and lithium batteries. Exposure to glymes has been shown to increase the risk of miscarriage, reproductive damage, and poor fetal growth. These are just a few of the many air pollutants in your home or office. The list could also include candles, flame retardants, old furniture, new carpets, and paint. Even though you cannot completely eliminate these toxins, there are ways to limit them. A quality AC unit, environmentally-friendly paint, and air humidifiers can make all the difference. If you’re concerned about indoor air pollution, contact an HVAC expert. Those who work in this field can recommend the best practices to keep your air fresh and clean. Don’t wait until it’s too late! Indoor air pollution could ruin your health.